If we study the example set by all our previous acharyas, we will find that competition is not a religious principle. Nowadays, however, we see that in the Vaishnava Sampradaya, especially the Sri Brahma Madhva Gaudiya Saraswata Sampradaya, almost all societies and acharyas are trying to show that they are better than the others. That is one reason explaining all those articles on the Internet that seem to have defeating others as their only purpose. Every disciple naturally follows his or her spiritual master’s mood and so preaches in the same competitive spirit. If a follower asks his master, “Can I achieve my spiritual goal through chanting the Holy Name and propagating my society and acharya’s glories as much as possible?”, the acharya replies with silence as a sign of his tacit approval – maunam sammati-laksanam. As a result, the Madhva Gaudiya Saraswata world as a whole sometimes looks like a battlefield. We seem to think that our acharya or society’s qualifications are proved by the number of supporters, devotees, or centers they possess, or how much wealth and mundane opulence they have accumulated. As a result, so many devotees in our sampradaya seem to be running after religion, wealth, sense pleasure and liberation in Mahaprabhu’s name, instead of seeking Divine Love, the fifth goal of life or Panchama Purushartha that He really came to give. Mahaprabhu said prithivite ache jata nagaradi gram / sarbatra prachar hoibe mor nam. “My name will be spread in every town and village, everywhere in the world.” This prediction has for all intents and purposes come true and His name has indeed spread to almost every corner of the globe, leaving hardly any place untouched. Even so, most senior devotees in the sampradaya are feeling frustration at the way the present Vaishnava organizations and their acharyas are behaving. They feel that instead of spreading Mahaprabhu’s message, the followers of these groups are engaged in subtle politics against other devotees — pure or impure — in order to promote their own society and acharya. When devotees begin to lose their taste for chanting the Holy-Name after long practice, they naturally want to know why. 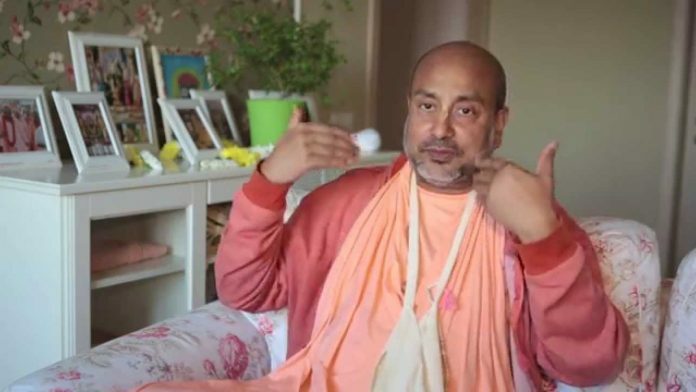 We have heard from our acharyas that when this happens, it is because from the starting point of our bhajan life, knowingly or unknowingly, we have been committing offences. When this happens, some of us remain active in our society and follow its acharya without any real hope or enthusiastic mood. 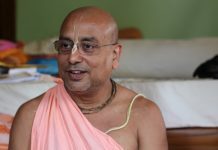 Others leave their society with a negative attitude to Vaishnavas in general. Such former devotees are now engaged in some business or work in mundane places to make their livelihood. This is a synopsis of the current situation in the Vaishnava world. 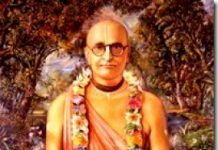 Prabhupada Srila Bhaktisiddhanta Saraswati Goswami Thakur once said that we have not come into the association of Vaishnavas in order to become construction workers in brick, wood, and stone. If it is necessary to sell the bricks and other wealth in order to spread Mahaprabhu’s message of Divine Love, we should do that. We should try to cultivate this attitude in the service of Srila Bhaktisiddhanta Saraswati Goswami Thakur Prabhupada, Prabhupadas Rupa, Sanatana and Sri Jiva Goswami, and Sri Krishna Chaitanya Mahaprabhu! Are we preaching just to increase the mundane wealth of our particular society? If so, what do we achieve? Are we really following the path of the previous spiritual masters? Or are we simply using their name and words to further our own ends of increasing mundane wealth? Is this why Prabhupadas Rupa, Sanatana, and Sri Jiva Goswami set the example of building glorious temples for their Deities, while they themselves spent the rest of their lives under trees, writing books? Srila Gurudeva expressed himself in this humble manner just to teach us a lesson, for I often saw him in the middle of the night, secretly crying and lamenting to someone out of separation from Krishna’s service. What is the present condition of our hearts regarding the feeling of separation for Krishna? How can we pretend to have Divine Love (Prem) as long as we maintain selfish goals and are more and more dedicated to achieving them? According to Srila Narottam Das Thakur, apana bhajana katha na kahiya jatha tatha, ” which means “we should not show or discuss our feelings of separation to anyone and everyone.” We should keep them secret so that they can grow and develop. Nowadays, we are showing off, broadcasting our so-called mood of separation and our secret relation with Krishna to neophyte people in order to attract them to our camp. Furthermore, we are discussing very intimate topics of Radha-Krishna’s conjugal pastimes to those neophyte devotees, just to show off that we have full knowledge of Vaishnava siddhanta. But look at Mahaprabhu’s example: He discussed such matters in a very intimate place, the Gambhira in Jagannath Puri, where He lived for eighteen years along with Swarupa Damodar Prabhu and Ray Ramananda Prabhu, His most intimate associates. Are we really following the above instructions of Narottam Das Thakur and the example given by Mahaprabhu? Nowadays, though we belong to the same sampradaya, we criticize each other in order to steal devotees from other camps to make our own bigger, so we can show off our power. And we do it all in the name of preaching abroad! Is this the type of preaching Mahaprabhu showed? We all know what His standards of behavior were. When He converted Prakashananda Saraswati, the leader of the impersonalist camp, He did not do so in a challenging mood or in order to prove Himself on the field of competition. Though Prakashananda was an impersonalist, Mahaprabhu still displayed the Vaishnava qualities of humility and politeness to him. Among the five purushartha, Prema is the best, better than other four purusharthas: religion, wealth, sense pleasures and liberation. Next to the fifth purushartha, these four goals of life are valueless, like a piece of grass. The fifth purushartha, Krishna Prema, is like an ocean of blissful nectarean love. Even Lord Brahma, the son of God and creator of the universe, has not tasted a drop of it. Then, with proper Vaishnava etiquette, Mahaprabhu defeated Shankararachaya’s commentary and established His own siddhanta: God is opulence, full-bliss, eternity, and consciousness. After that, Prakashananda, the Mayavadi sannyasi, and his group of followers surrendered to Mahaprabhu’s lotus feet. The point is that Mahaprabhu did not display a competitive or aggressive challenging mood, even to these opponents. Contrast this with our attitude nowadays, when we behave in this manner even with those who are in our own same sampradaya, what to speak of the Mayavadis. Again, in Srimad Bhagavatam, Lord Krishna shows us that the challenging and competitive spirit are not included in devotion through the story of Arjuna, Ugrasena Maharaj and a pious Brahmin whose children had died as soon as they took birth. Once, there was a Brahmin in Maharaj Ugrasena’s kingdom, whose wife had given birth to nine baby sons. Unfortunately, every time she gave birth, her children would die for no apparent reason. The father of these babies widely accused the king, Maharaj Ugrasena, of responsibility for their death. 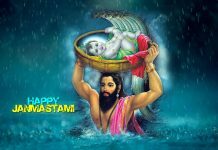 Each year, the Brahmin would come to the King’s palace, carrying his dead child, and shout curses at Maharaj Ugrasena, blaming him for the death of his child. The king himself remained silent, showing tolerance as an acharya. After the ninth such death, Arjuna, the third Pandava happened to be present and heard the Brahmin hurling invective at the king. He asked him what was his complaint. The Brahmin blamed the death of all his children on the sinful activities of the king. Arjuna was astonished to hear the Brahmin’s accusation, but was convinced that what he said was true. Arjuna was filled with false pride and the desire to defeat Maharaj Ugrasena and so told the Brahmin that the next time his wife was ready to give birth, he should call him. He would go and protect the child from the forces of death. The Brahmin still had doubts, but Arjuna very proudly gave his promise that if he was not able to save the Brahmin’s next child, he would enter the fire and destroy his body. When the time came, the Brahmin remembered Arjuna’s promise and sent for him. Arjuna went to his house equipped with his bow and other weapons. On arriving, he chanted a few mantras to protect the area and sat down in front of the Brahmin’s wife to watch over her. Unfortunately, Krishna’s beloved friend Arjuna forgot Krishna out of pride on that day. When he chanted the mantra for protection, he did achaman for purification of his body and mind using the mantranamah Shivaya instead of the Krishna Mantra. Arjuna sat in front of Brahmin’s wife with his fighting-bow, awaiting the messenger of death, but as soon as she gave birth, her child died, as had happened every time previously. Arjuna was astonished to see the child die right in front of him. He set off to find out where the child had gone after death. He searched in so many places without finding the child. Finally, he had to admit his failure and arranged to keep his promise by entering a fire to end his life. Lord Krishna immediately appeared and spoke to Arjuna, “Please come with me and I will show you where that Brahmin’s children have gone.” Then both went to Mahakalpur and Krishna ordered Karanodashayi Vishnu to give back the Brahmin his ten children. The teaching to be taken from the above story in the Srimad Bhagavatam is that when we commit offences to the acharya, Vaishnavas and God, our whole devotional practice is nipped in the bud. Favoring the words of the Brahmin, Arjuna, committed offence to Maharaj Ugrasena, who was an acharya. Due to that offence, he forgot Vasudeva, Sankarshan, Pradyumna and Aniruddha, i.e., his relation with God. Thus when the Brahmin told Arjuna that Vasudeva, Sankarshan, Pradyumna and Aniruddha had failed to save his children, Arjuna pretended to be more powerful than them. With his proud answer to the Brahmin, Arjuna committed an offence to the lotus feet of the Chaturvyuha (God). Therefore at the time of achaman, he uttered namah Shivaya instead of a Krishna mantra. In this way, there are so many examples in the scriptures showing that competitiveness and the challenging mood destroy pure devotion. From the above facts, it is shown that when we commit offences towards the acharyas and Vaishnavas, we are pulled away from the lotus feet of God. Though Arjuna was Krishna’s dearest devotee, his offence caused him to take on a competing mood and to challenge Maharaj Ugrasena and Vasudeva, Sankarshan, Pradyumna and Aniruddha. Please, readers, do not take any offence from me, I am simply expressing my heartfelt worries. Kindly bless me that I may follow the proper devotional path. I wish to continue writing more on this topic, giving more evidence from other scriptures.